Susan and I had planned another day off of work training run, this time with our trainer Willie. We had our eye on the loop around Mt. St. Helens, since we knew a few people who had ran it in February and there had not been any new snowfall since then. But unfortunately due to a few scheduling mishaps and the possibility of bad weather we decided on Plan B and to do Mt. St. Helens in May or June. Plan B was something I cobbled together a few nights before our run, before we knew Plan B was going to become Plan A. Which really means that I didn't put as much research into the route as normal. 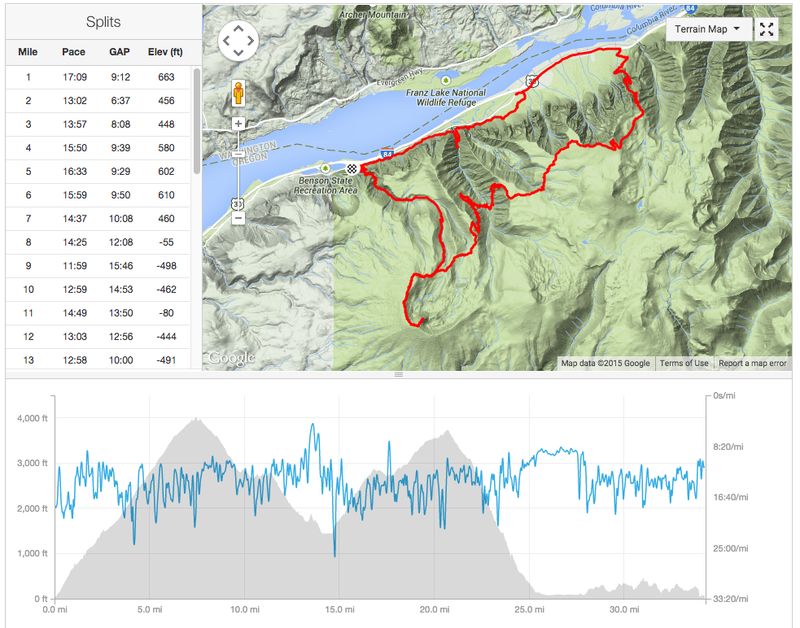 I looked at my Columbia Gorge maps and linked several trails, which we had not run on or had not been on in awhile to nearly form a 40 mile loop. Normally I would look up the elevation gain and loss of each trail and read Oregon Hikers trail reports, but I didn't do that this time. I knew that I wanted to make Susan run up Larch Mountain, since she has a mental block on part of the trail and I hiked it a few weeks ago and told her it is a lot more runnable than Mt. Defiance. Well, naively I assumed the trail back down from Larch Mountain and all the connecting trails to Gorge 400 would be a nice gradual downhill. 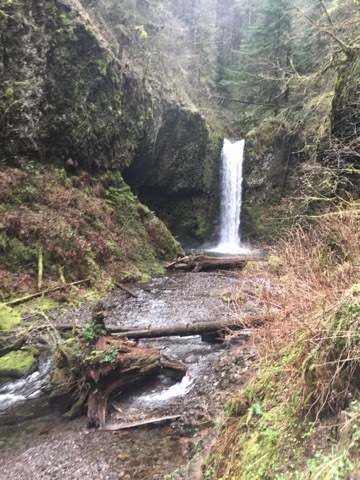 I should have of known better, I have been hiking in the Gorge for 15 years, but it goes to show you that even when you think you know something well you don't. Meaning that we did get a little downhill from Larch Mountain to Horsetail Creek, but Horsetail Creek to Nesmith Road was all uphill. Nesmith to Gorge 400 was not a gradual downhill, it is 4.5 miles of rocky downhill loosing ~4000 feet. By the time we reached Gorge 400, it was close to 4pm and we still had 15.6 miles to go, which included a 2000+ foot climb up Oneonta to Franklin Ridge. Susan had left her headlamp in the car to make room in her bag for food for a 100 mile run (that is another blog post). 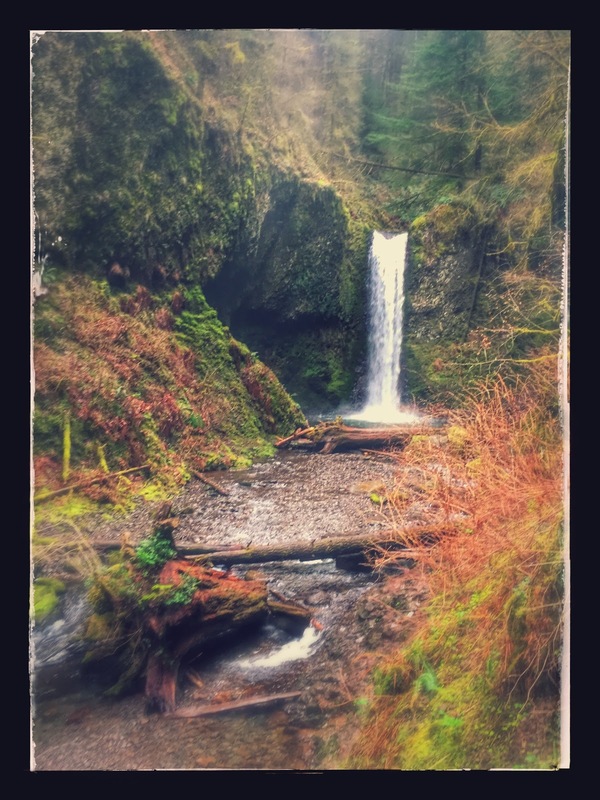 So we decided when we got to the junction with Oneonta we would make a call on if we did that portion of the route or continue on Gorge 400 back to Multnomah Falls. Willie had plans that evening in Portland and had to take off, leaving us to make our own stupid decisions. Since I didn't do my normal obsessive route planning, I didn't know that part of the Oneonta trail was closed due to a landslide. We walked up to the landslide and tried to go around it but after a few minutes we decided it would be wise to skip that part of the route. 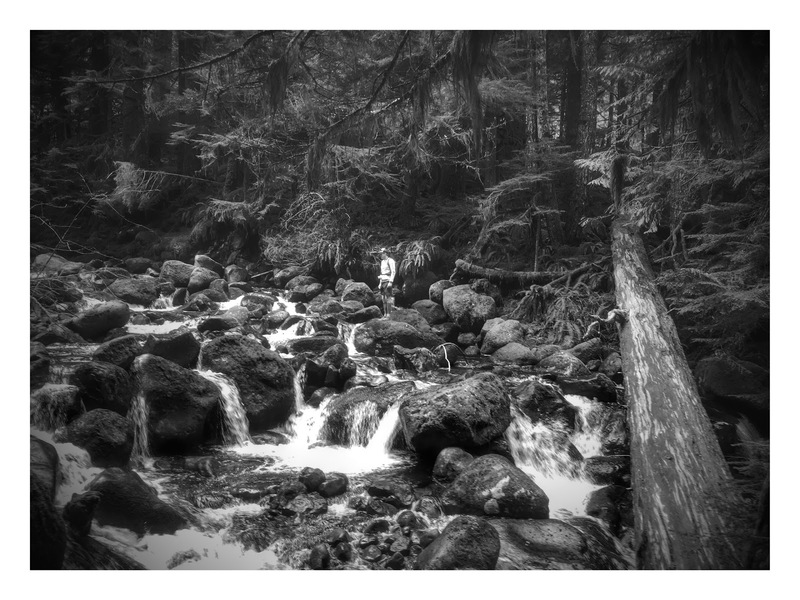 We headed back to Gorge 400 to complete the loop to Multnomah Falls. Even in my head I remember Gorge 400 being flatter than it seemed, it might have been that it was the end of the run and the slightest elevation gain on a rocky trail seemed hard. We did luck out with weather this time, the rain held off until we were in the car. Despite not being able to complete the full 38.1 mile route we did gain ~9600 feet according to Strava. Which is excellent training for Miwok. Sometimes it isn't always about the number of miles.